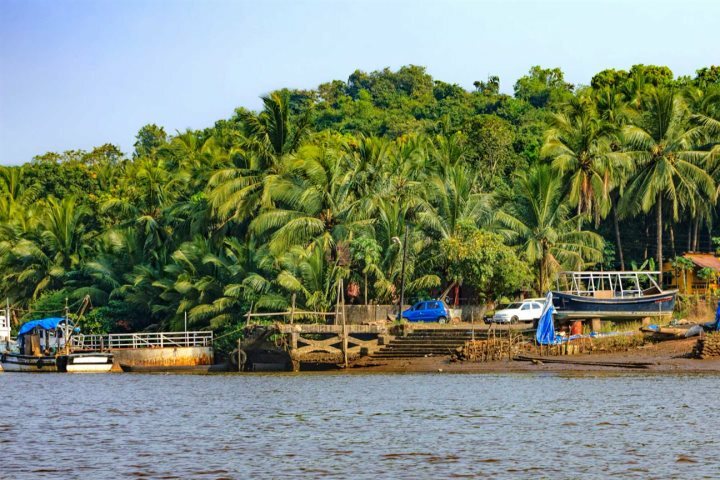 To the east of Panjim, the capital city of Goa, lies the beautiful, yet rarely visited, islands of Divar and Chorão. Unspoilt and unchanging, these islands are the epitome of tranquillity, where you can relax, unwind and reconnect with nature. Head towards Old Goa , a few miles east of Panjim, and take the short ferry ride across the Mandovi River to the sleepy little island of Divar. Stepping off the ferry is like stepping back in time, as you find yourself amidst beautiful mangrove swamps, rice paddies, rural villages and a smattering of Ayurvedic spas. This beautiful little island should be enjoyed at a leisurely pace, giving you plenty of time to soak up the serene atmosphere. It’s true there’s little to do here, and not many visitors to Goa make the journey, but that is all part of its charm. Once two important temples stood here, the Saptakoteshwara Temple and a temple dedicated to Ganesh, but they are long since gone. The former was moved to Bicholim to escape the forced conversion to Christianity that many Hindus faced at the hands of the Portuguese. The Ganesh temple is believed to have been destroyed by Muslims hundreds of years ago. The church that now stands in its stead is well worth a visit though. On a small hill in Piedade, the largest settlement in the island, it is dedicated to Our Lady of Compassion. The church’s impressive façade gives way to a simple yet beguiling interior. Be sure to ask the priest to unlock the small chapel in the grounds that was converted from a Hindu Shrine. Parts of it, including the painted plaster ceiling, date back to 1352 and the Kadamba dynasty. The small cemetery beside the church also offers fragmented glimpses of this once grand dynasty. For many, the highlight of a visit here is the stunning hilltop panoramic view across the island’s countryside, the meandering Mandovi River, and Old Goa. It’s worth visiting Divar for this view alone, which is especially beautiful at sunset. The island has retained its tranquillity thanks to the local people, who while extremely friendly and welcoming to tourists, staunchly refused the government’s offer to build a bridge linking them to the mainland, fearing that it would disrupt their unspoilt island life. The larger of the two islands is Chorão, where winding roads thread their way between authentic well-preserved Portuguese villas in a tranquil and most picturesque setting. The western half of the island is a nature reserve, the Dr Salim Ali Bird Sanctuary. 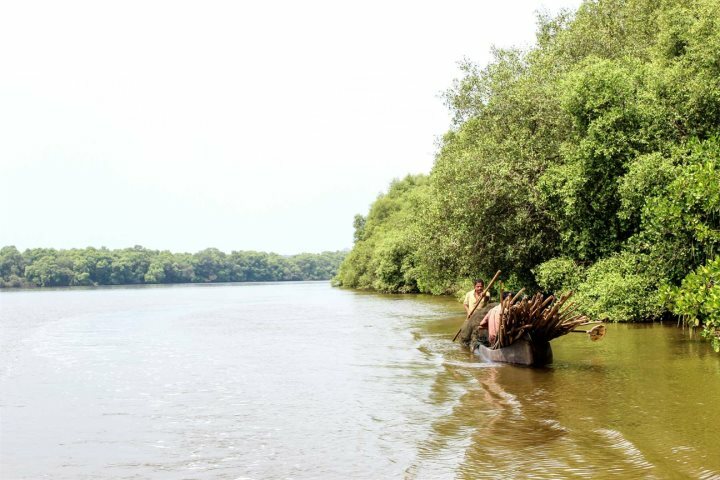 The best way to explore the dense mangrove swamps is by boat, while on the look-out for the wonderful variety of birds and animals that can be found here, including the mugger, a Goan crocodile, and the mudskipper, a fascinating fish that skips along the mud at low tide. The pretty little village of Chorão, which gives its name to the island, is a collection of thatched mud houses interspersed with some fine examples of Portuguese villas, and a small village church. Follow the road through the village and on to the mainland, then take the road to Narve and it will bring you to the Saptakoteshwar Temple (formerly on Divar Island). 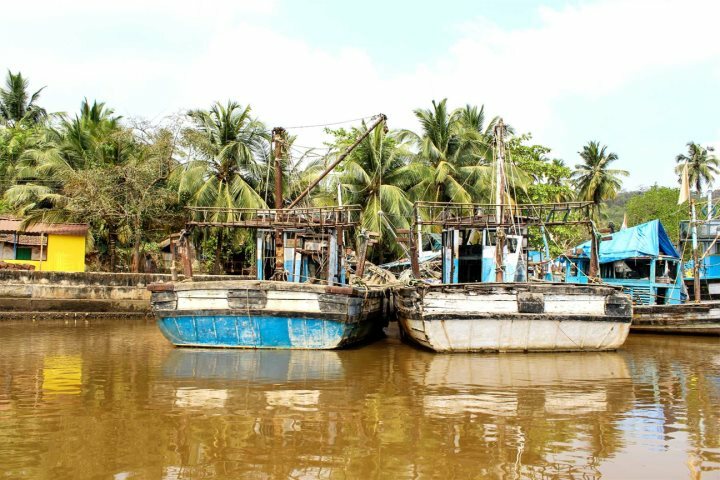 The southern ends of both of the islands can be reached from two ferry terminals at either end of the village of Ribandar, a few miles east of Panjim, near Old Goa. You can also drive from Narve and Tikhazan on the mainland to the north of Chorão Island. There are no restaurants on the islands, so it is essential to carry enough of your own water and food for your visit. The ferries are free to foot passengers and cyclists, but there is a small charge for cars. They are very regular but stop fairly early in the day, so do check the time of the last ferry. 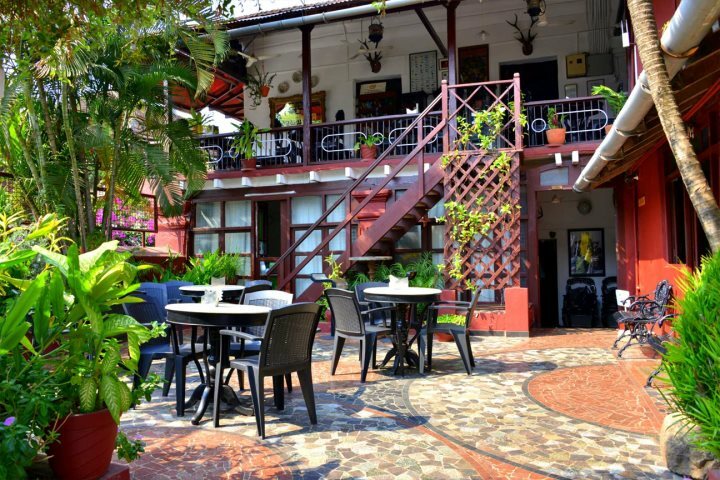 Panjim Inn is located in Panjim’s Latin Quarter. Not only are you close to Old Goa here, but you’ve also got all the cultural delights of the surrounding area known as Fontainhas. There are numerous walking trails through the colourful heritage houses and whitewashed chapels. And you are within easy reach of the ferries to the islands of Divar and Chorão.